meltag has started his journey with many hurdles and achieved many milestones in short period of time. And now it concentrated on the TiE50 silicon valley start-up competition where around many companies around 2716 top TOP start-ups screened globally. 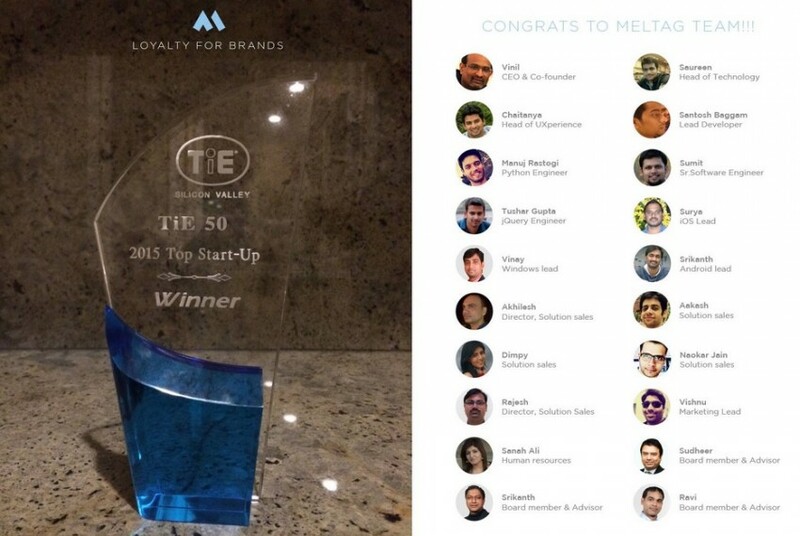 Among all those companies meltag.com stood his place among TOP 50 startup companies globally and made his mark in the competition. All this happened with all our team efforts and contribution towards the company. Our target is to provide solutions for all business people who are looking for Loyalty and CRM solutions in India. Because many business people are not aware of best solutions on how to grow their business globally with proper and efficient techniques to increase their sales promotion and brand promotion and to increase their ROI with cost efficient. meltag provides best Customer Loyalty Programs, CRM or customer relationship management, brand promotion, sales promotion, trade promotion, IoT management in India. We are best in industry with many advanced and flexible features to increase business sales promotion.